The Regional Athletic Center project is regarded as one of the finest outdoor sporting venues in the state. 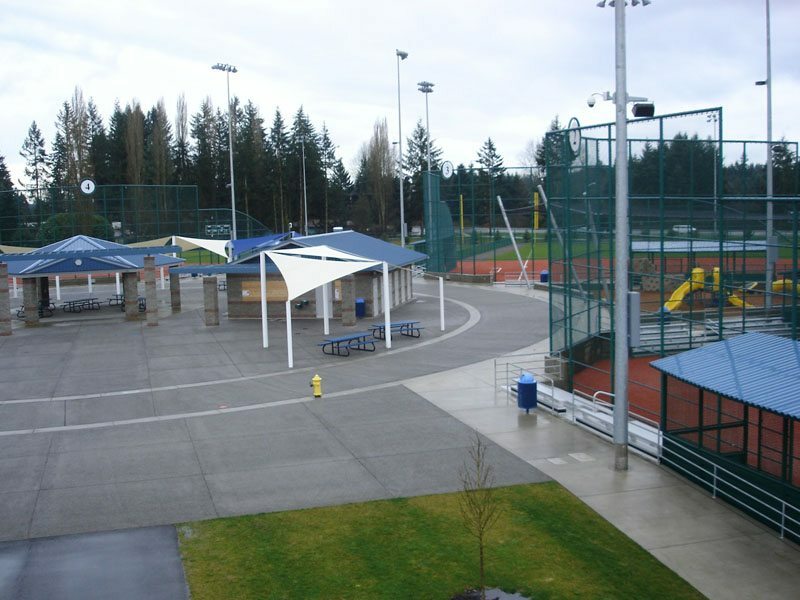 The 100-acre complex features six regulation soccer fields, including one with all-weather turf and lighting; four regulation softball fields with all-weather turf and lighting; one minor league-rated baseball field with all-weather turf and lighting; electronic score boards; 2 concession buildings; 5 large group picnic shelters; spectator seating; parking for 500 vehicles; 3 playgrounds; 2 miles of walking and jogging paths; a kite-flying hill; 3 half-basketball courts; and a 6-acre outdoor event and festival area. In addition, nearly 20 acres have been preserved to protect native oak savannahs. This project totaled out at around 10 million dollars. Lacey Regional Athletic Fields – ConcreteMan Inc.The Regional Athletic Center had an issue with putting in a retention pond which would diminished the amount of field area that was needed. The solution for this problem was pervious concrete. This pavement technology creates more efficient land use by eliminating the need for retention ponds, swales, and other stormwater management devices. In doing so, pervious concrete has the ability to lower overall project costs on a first-cost basis. By capturing stormwater and allowing it to seep into the ground, porous concrete is instrumental in recharging groundwater, reducing stormwater runoff, and meeting U.S. Environmental Protection Agency (EPA) stormwater regulations. In fact, the use of pervious concrete is among the Best Management Practices (BMPs) recommended by the EPA– and by other agencies and geotechnical engineers across the country– for the management of stormwater runoff on a regional and local basis. Durability was another major concern at the athletic center. During tournaments they were going to be large crowds that were expected to fill the entire plaza space. Many of the people in attendance would be wearing cleats, therefore a very durable surface was needed to withstand the constant pounding, especially during hot weather when softer materials such as asphalt would be unsuitable. The plaza contains a restroom/concession building, a large open sided shelter and groups of shade structures. The nature of ready mix concrete allowed the ease of placement and finish around and among those structures in a relatively short time with little difficulty and risk of damage to those structures. Pervious concrete was a sustainable solution and was compatible with the environment for the Athletic Center because; it eliminates run off of untreated storm water, directly recharges groundwater, mitigates first flush pollution, protects streams, watersheds and ecosystems, mimics the drainage and filtration of natural soils and bioswales, provides drip line irrigation for urban trees and landscaping, reduces surface temperatures, and eliminates the need for expensive collection and detention ponds. Ready mix concrete was the choice to improve the lifecycle of the project. Typically ready mix pavement will last up to fifty years before it is considered for replacement. Asphalt and other products however would need replaced at least five times in that fifty year time frame. 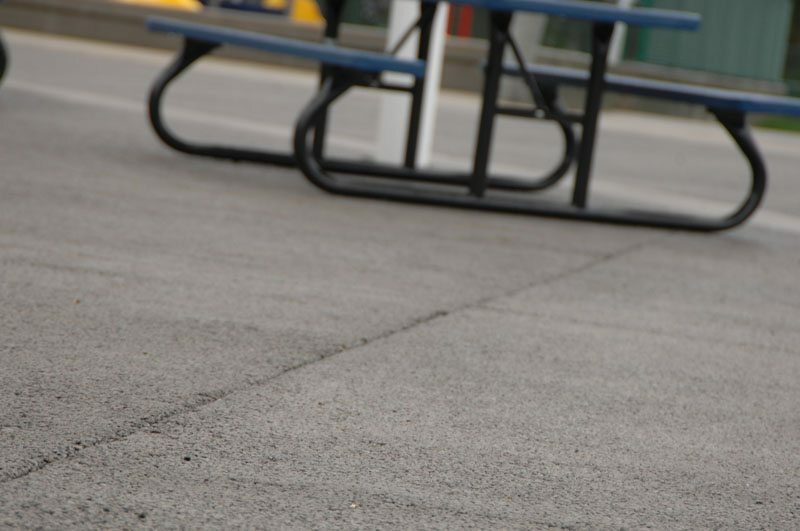 In addition to the uniform surface, the texture of the pervious concrete is unique and the quality of the finish is attractive. After placement, pervious concrete has a textured surface which many find aesthetically pleasing and which has been compared to a Rice Krispies® treat. Its low mortar content and little (or no) fine aggregate content yield a mixture with a very low slump, and with a stiffer consistency than most conventional concrete mixtures. The use of pervious concrete conveys the City of Lacey and Thurston County’s commitment to sustainable design and environmental quality.